First Americans then Chinese and now SA. Pakistan economy is truly global! A 16 % return promised/guaranteed by Pakistan - $ 1.5 billion per year paid in foreign exchange? Does anyone know what they are doing? It is up to investors (foreign or locals) to bear risks/rewards of any project. Waiting for the reaction of US after these developments. We don't want to be the pawn in Saudi's hand! Please make any deals transparent and discuss in parliament. Good investment to tune of $10 billion coming. Great. Beware that 16 % return on the Saudi investments will be ruinous for the local entreprise! 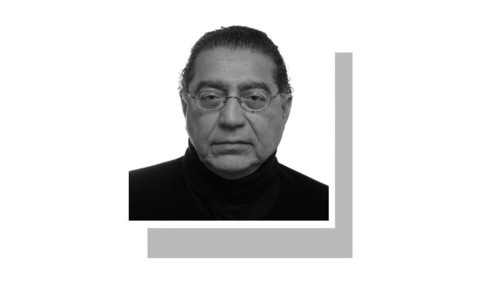 Why would Pakistan bring KSA to Iran's backyard? This can't be good in the long run. Foreign investors keen to be part of CPEC. Balochistan govt must be brought on board and involved in all the dealings and investment projects before signing memoranda with Saudies or other foreign governments. If the Saudis get 16 % on investment return, what does Pakistan make ??? 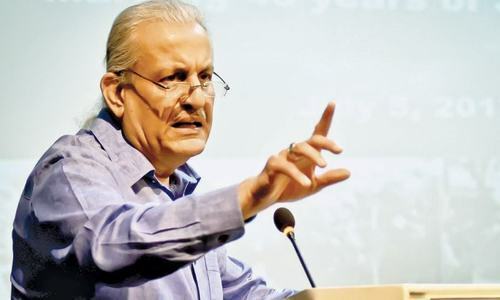 Saudi involvment in Gwader bad omen. 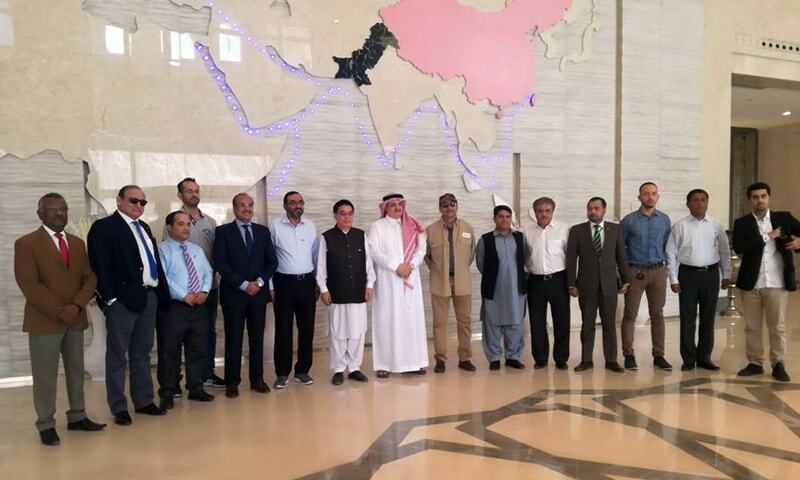 Members of Saudi team show interest in investing in Gwadar, express satisfaction over facilities - And The Security Situation. @Arif And Saudi means no to Iran? USA dictate Saudi Arabia and they follow them. New iron brothers now that the US and China relations have turned sour. Imagine if this 16% deal done by Nawaz Sharif? Pakistan is novice. When the world is going towards electric car starting next year, pakistan is going into contract for long term to gove 16% promised return. If you don’t believe than weight for just one year and see how quick will be this transition as oil is impacting everyone. No doubts saudis understand the business and rushed to closed the deal before pakistanis realizes what liabilities they got into. Pakistan promised a 16 percent return on investment. Gawader would soon be a sovereign Chinese territory. If you bring investors with deep pockets, your share shrinks accordingly. I don't recall anyone else inviting Pakistan to share their piece of pie. Where in the world one could get 16% return on investment, what a joke. Did anyone steal a wallet full of Saudi Rials? Any Grade 21 or Grade 22 Officers this time? Oil refinery financed by Saudi Arabia in the neighbourhood of Iran, will be a very very burning issue! Can't see any Chinese in the picture .is China happy with this new investment ? Are we trying to loose our last reliable friend ? If 16% to Saudi is fairer than the return for chinese.... what is the number for chinese? @Justice Where will u get the money then? In Pakistan we must make some major structural changes in our taxes system and get rid of corrupt government employees.We need investment from Pakistanis and that too in industries the backbone of economy. This is not good, why are they involved in everything?! It's up to Pakistan govt and Pakistani people to source funds from the countries of their choice . Just want to say one thing . India got a loan of over 15 billion dollars from Japan and rate of interest is 0.1%. Plus repayment schedule is very liberal and long gestation period . Why couldn't you guys source funds from countries like Japan . And they provide funds with no political strings attached . They may charge you a bit extra, say about 2 to 3% , but it still will be far far lower than 16% as promised to KSA. Please don't make unsustainable deals . Saudi arabia befor becoming part of CEPEC gov,t ought to know saudia intentions first then if gov,t make him part of CEPEC will not worst for pakistan. A thing I want to advise is that first of all pakistan gov,t should from saudia gov,tt who ipmrisioned thousands pakistanies innocent. They want China as a customer so they are hedging their bets. Eventually all the refined oil to western China and afghanistan is going to follow through pipelines. USA has its own supply thanks to fracking and has become an exporter.